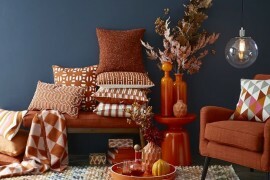 Fall is here and with it, the colors outside are changing from green and blue to orange and gray. 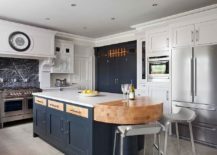 Things are starting to move towards the inevitable festive mood that starts in the second half of the season and stays with us deep into winter each year. 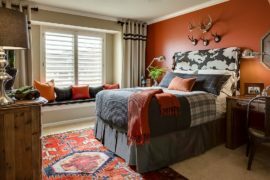 But with the arrival of fall, we also have fall trends to worry about! And as always, this year brings with it a few design and decorating ideas that are unique and some that have been around for a while. 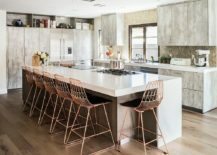 Having already flipped through 30 such lovely inspirations that help shape every room of your house for the season ahead, today we decided to focus on the kitchen alone. 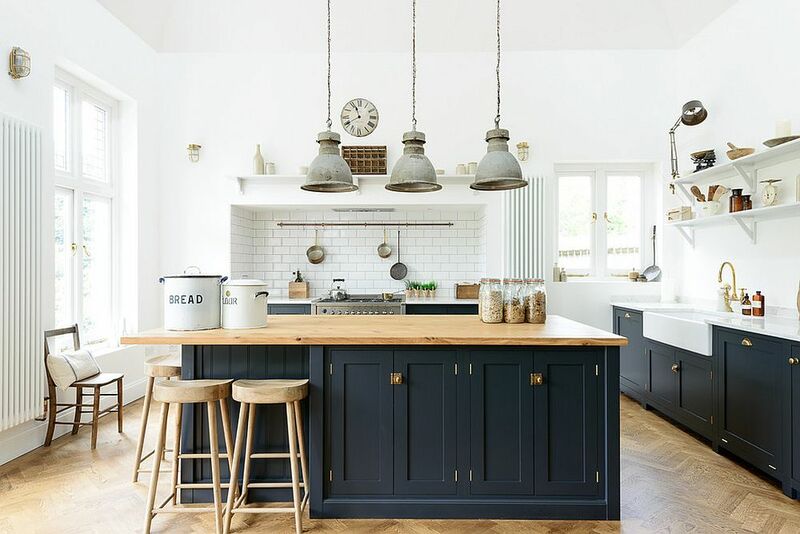 If there is one kitchen style that we have seen taking the decorating world by surprise in the last few months then it is undoubtedly modern rustic. 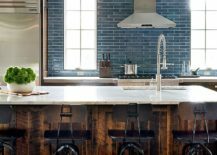 A fusion of modern functionality and rustic overtones that still allow the neutral backdrop to remain undisturbed, this is a style that demands balance, precision and a sense of coziness that homeowners seem to crave. 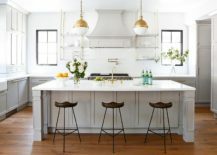 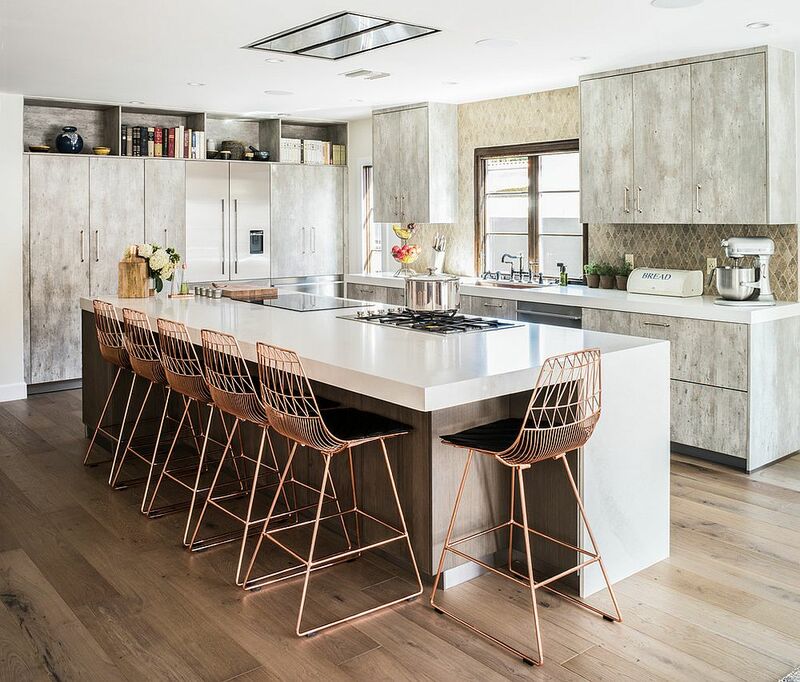 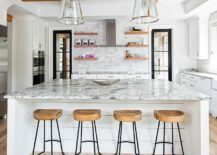 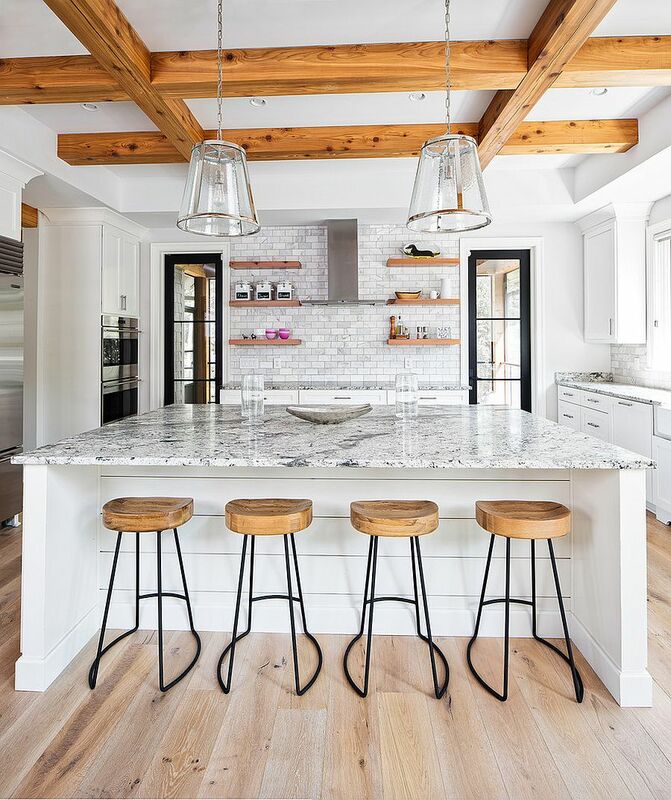 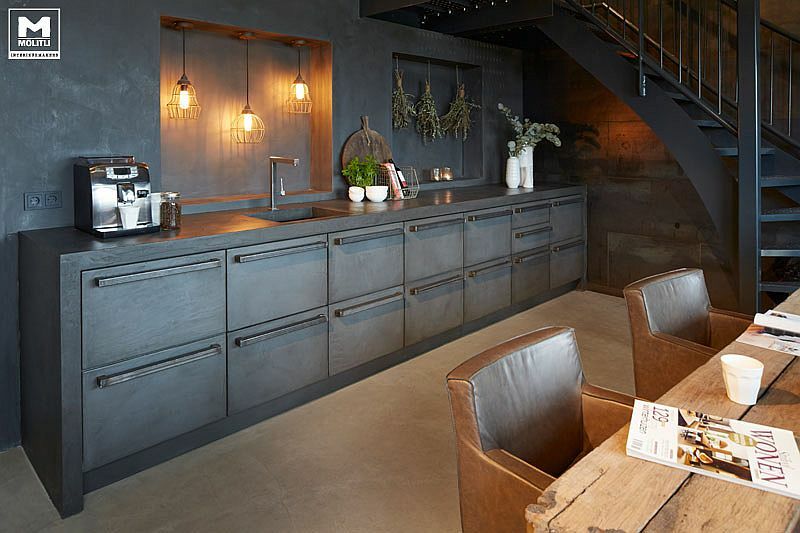 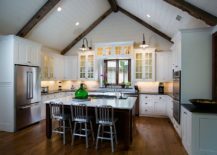 Exposed wooden beams, distressed cabinet doors, metallic pendants with industrial chic vibe and antique dish racks that give the kitchen a timeless appeal; there are many different ways in which you can create your own modern rustic kitchen. 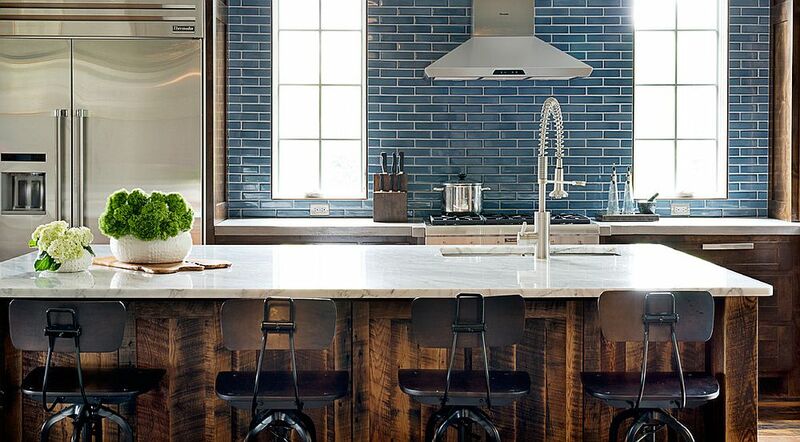 But no matter the path you take, rest assured that presence of wood is an absolute must in here. 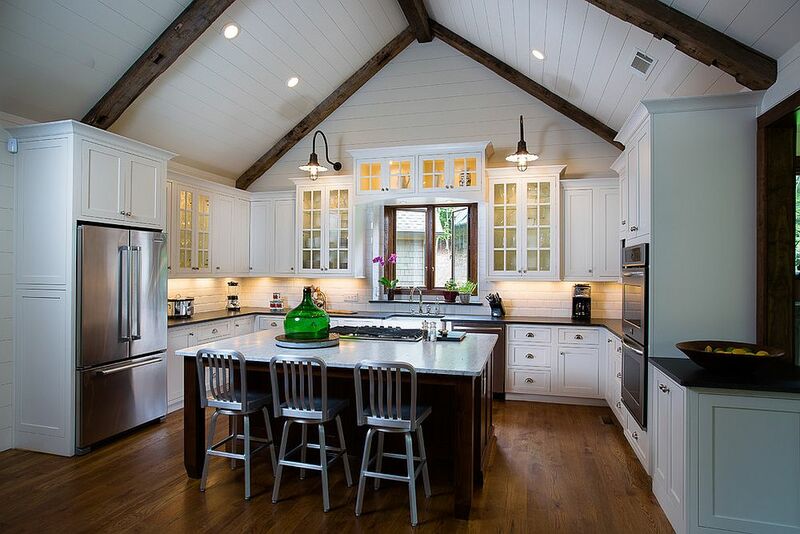 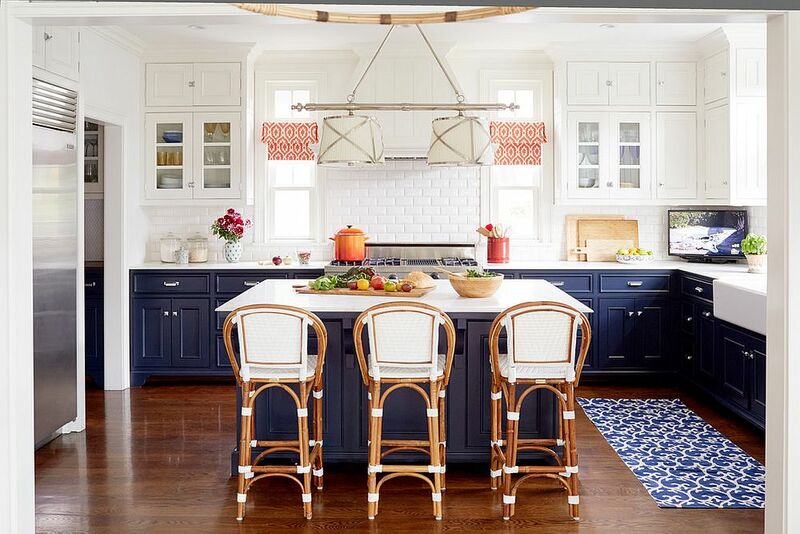 This is a kitchen that will serve you well beyond fall and will look equally amazing during the cold winter months. 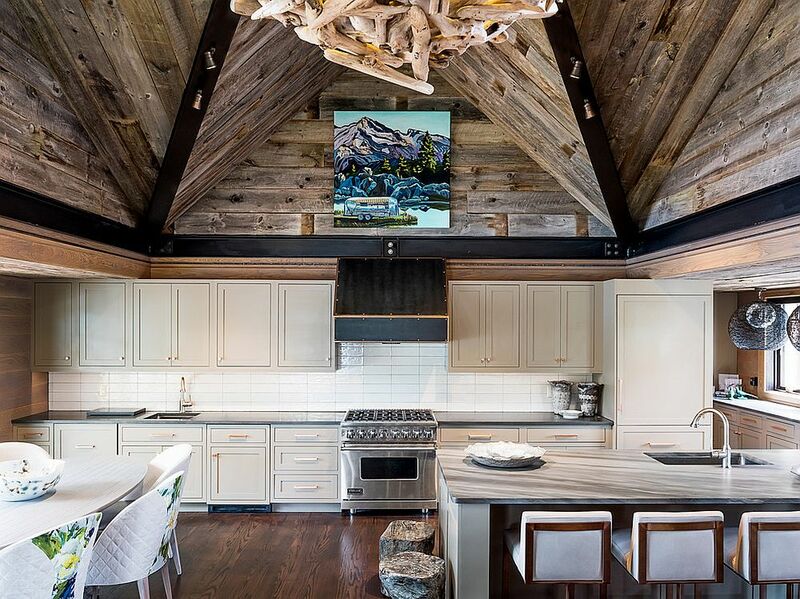 Time to embrace the cabin-inspired look! 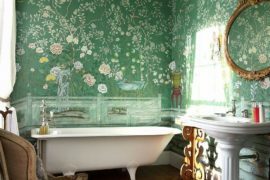 Yes, we get why you are perplexed with the idea. 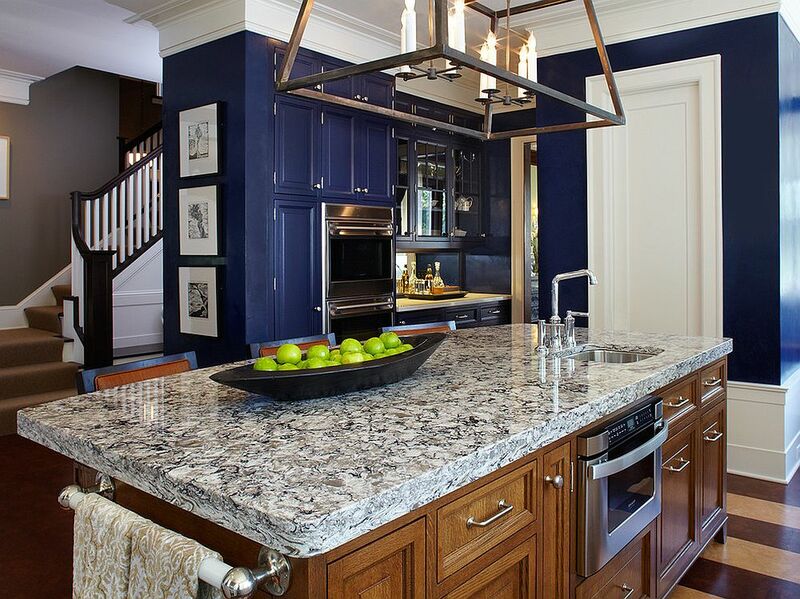 Navy blue is a color that is generally reserved for the warmer summer months. 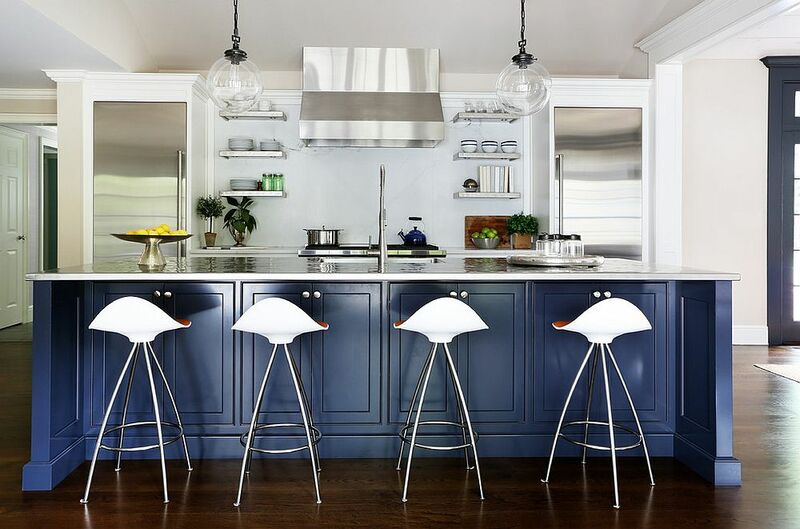 It is a color that is most often used in beach and coastal style kitchens. 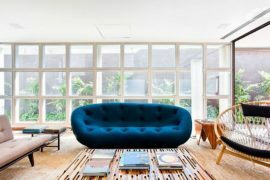 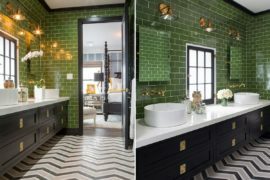 But it is also a color that is making a big splash both in the world of fashion and interior design in fall 2018. 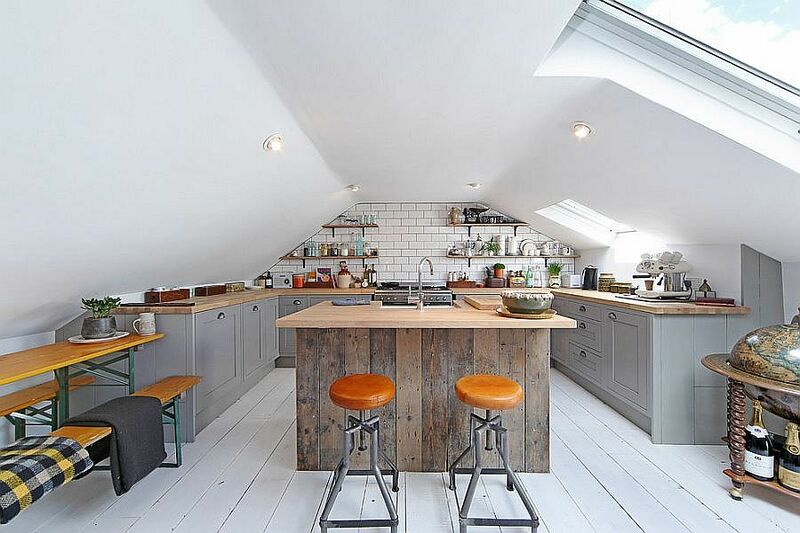 And the kitchen is no exception. 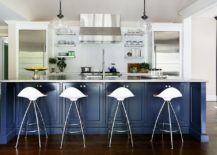 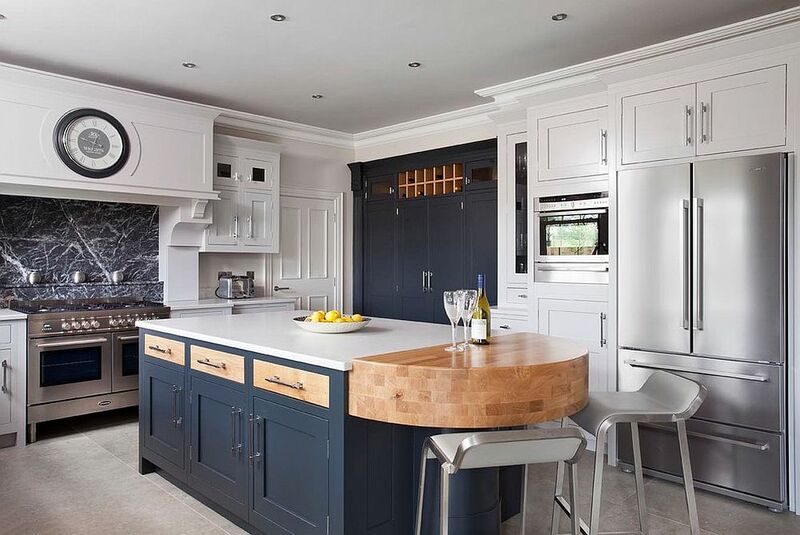 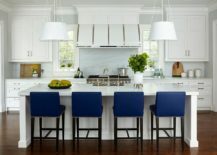 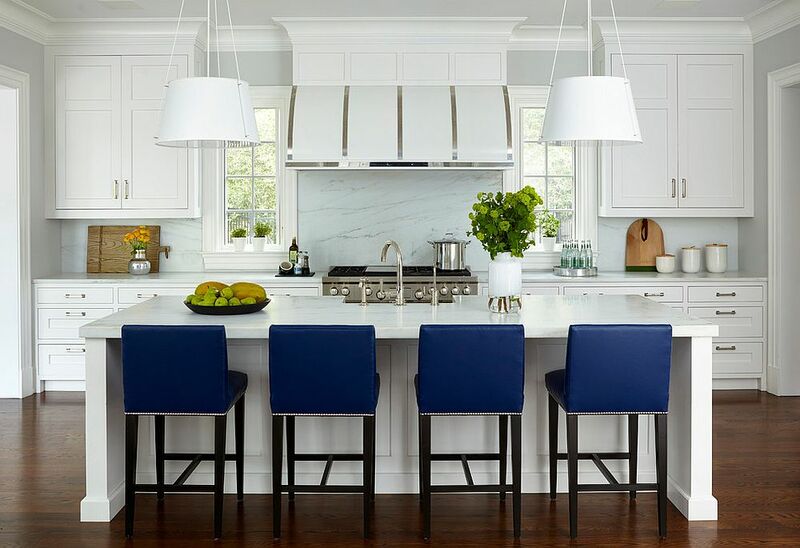 Combining it with white is all too easy and if you are not sure how it would feel in the colder months ahead, start out small with bar stools or accessories in navy blue before committing to it on a larger scale. 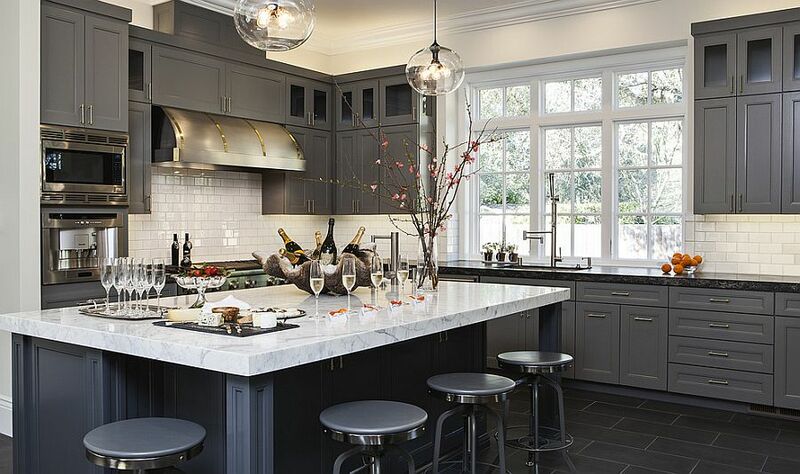 You can rest assured that this is a color that is both timeless and trendy! 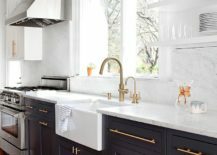 If the idea of moving away from orange and embracing navy blue in fall feels far too alien, then the presence of brass in the fall kitchen is one that is far more organic. 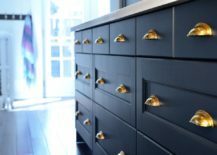 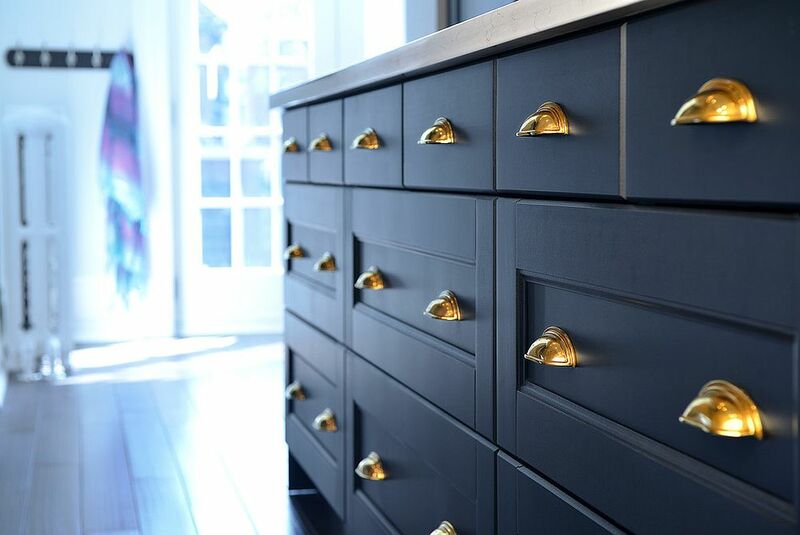 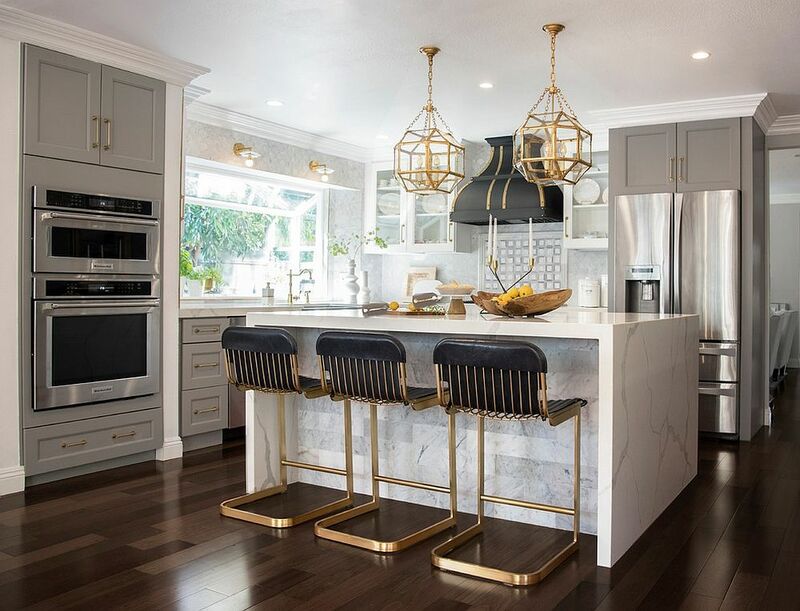 As the natural light fades outside and days get darker in the second half of the year, brass cabinet handles, kitchen fixtures, pendant lights and accessories will brighten the kitchen significantly. 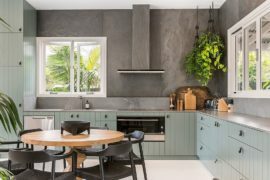 You need not undertake a major paintjob or renovation to make this change in the kitchen and the result is simply spellbinding. 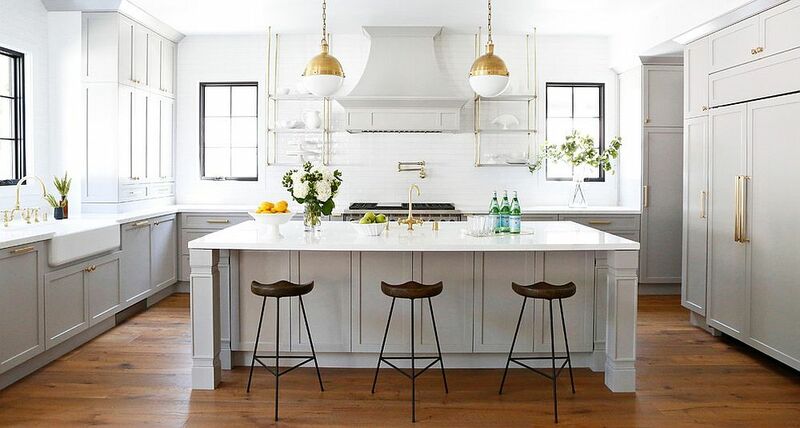 We do suggest though that you keep the backdrop as neutral as possible for the best visual impact. 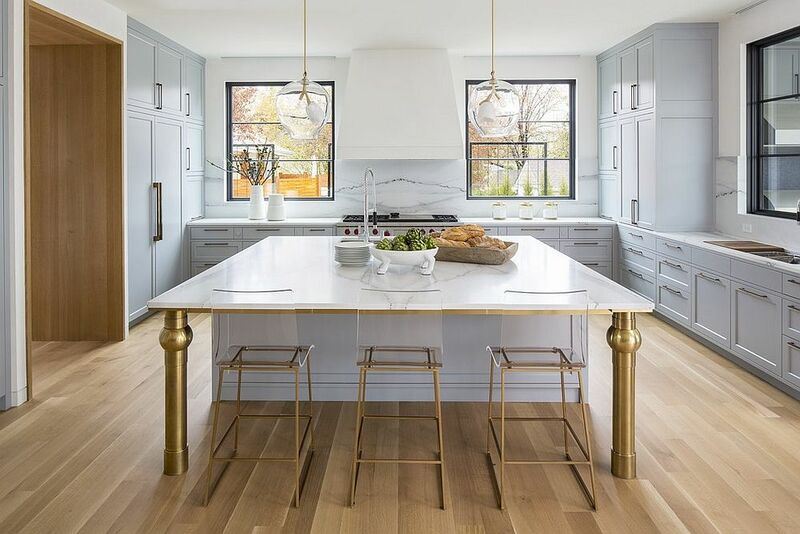 We know the look on your face, but the truth is undeniable; gray is once again the top neutral for the season and since most of us already have used the color in the kitchen, sticking to it makes our life that much more easier. 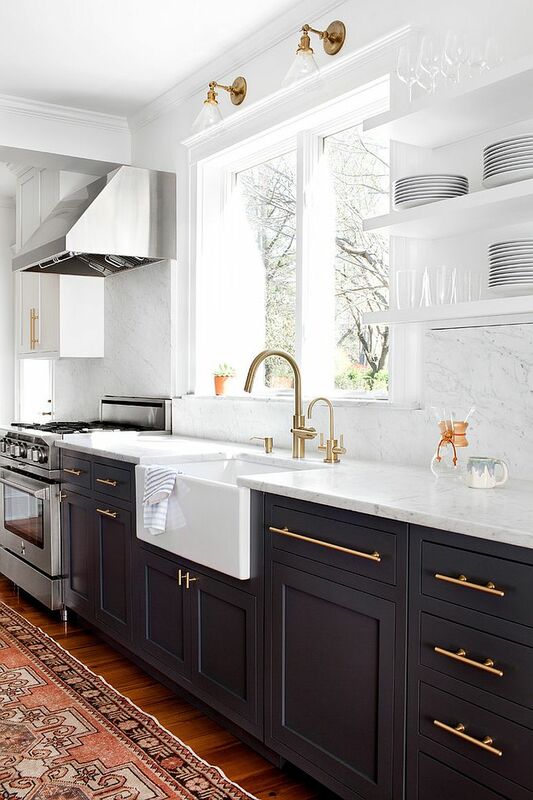 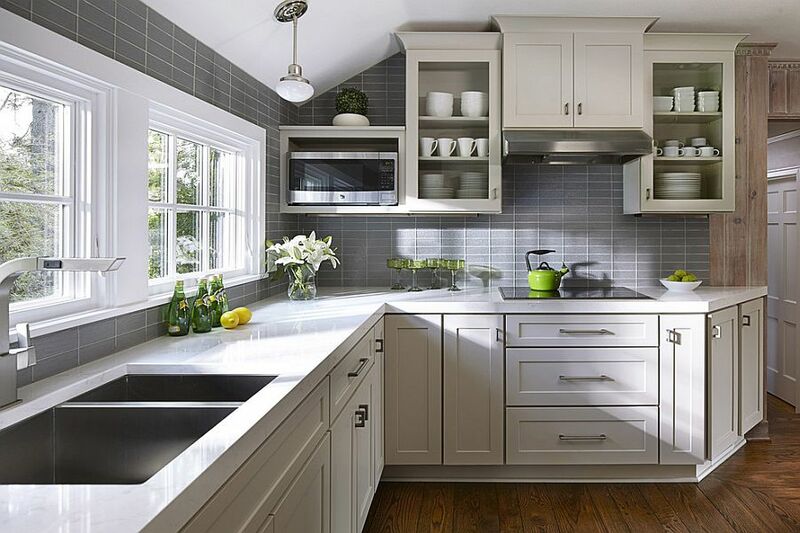 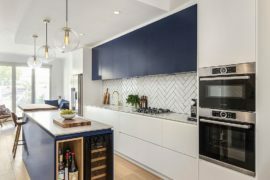 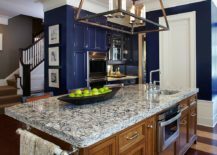 But give the already gray and white kitchen a fun upgrade this fall with a tone-on-tone approach and add brass fixtures and navy blue accents to create a stunning blend of the best fall trends.